STATESVILLE- James D. Duncan, 74, went home to be with the Lord on October 22, 2017 surrounded by his family and Pastor Helton. Born on January 23, 1943 in Iredell County, he was the son to the late James and Della Cook Duncan. 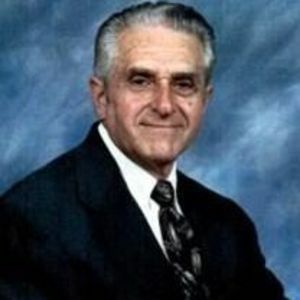 Dwight was a charter member of 52 years at Westminster Church of God and was the Sunday School Superintendent for over 20 years. He retired after 42 years from North American Products. Dwight was a loving and caring husband, father and "Papaw". In addition to his parents he is preceded in death by brother, Arthur Duncan. Left to cherish his memory is his loving wife of 53 years, Janice White Duncan; two sons, Jeffrey (Sharon) Duncan and Randall Duncan; grandchildren, Jarred and Haley Duncan; fur baby, Scarlett; brother, Arnie Duncan; sisters, Reba (Jimmy) Fox, Eva (Herman) Kerley and Opal (Ronald) Hartness and many other loving family members. A celebration of life service will be held on Thursday, October 26, 2017 at 2pm at Westminster Church of God in Statesville with Rev. Gary Helton and Rev. Aaron Holifield officiating. Burial will follow at Iredell Memorial Gardens. The family will receive friends from 6-8pm on Wednesday. October 25, 2017 at Bunch-Johnson Funeral Home. Pallbearers will be, Jarred Duncan, Jason Rochester, Darrell White, Marvin Marrow, Ronald Hartness and Rex Winebarger. Honorary Pallbearer will be Walter Byrd. The family will be at the Duncan residence at other times. Bunch-Johnson Funeral Home is honored to be serving the Duncan Family.